Activated charcoal has been used in recent years to detoxify your skin by drawing out impurities from beneath the surface. Using charcoal soap doesn't harm your skin in any way, but it does provide a gentle, deep cleansing which is especially good for people with acne-prone skin types. 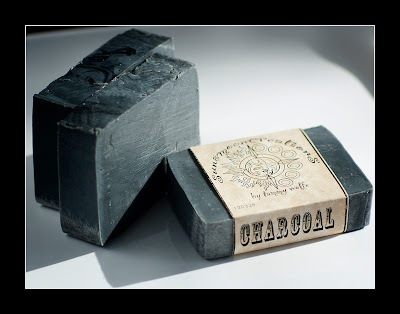 Activated charcoal is a safe and amazing ingredient, to learn more about it check out this site. This soap also has tea tree oil and eucalyptus essential oil which create a wonderful scent together.